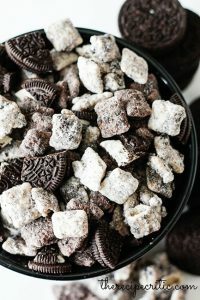 Happy National Oreo Day! How could I not celebrate the first cookie that made me a cookie thief (I was 7 and took all of the cookies out of the jars to eat the middles…then put them back)? 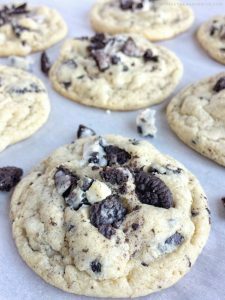 Here are 7 recipes to give a whirl while we all relive our childhoods with “Americas Favorite Cookie”. Extra soft and fluffy. It just makes sense. Such a simple way to make an already addictive snack even more addictive. Just add chocolate. 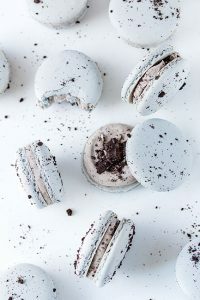 Oreo Macarons – Oh, Sprinkles! These just simply looked delicious. I have recently fallen for Macarons and these look absolutely delicious. 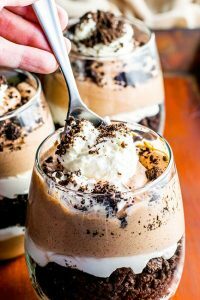 Bailey’s Cookies & Cream Parfaits – Homemade Hooplah! 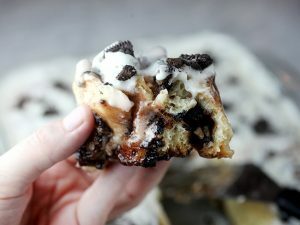 Cinnamon Rolls + Oreos = Breakfast of Champions. Hey… I’m an adult and breakfast is whatever I decide to make of it. 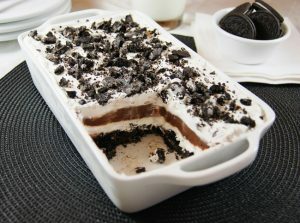 Doesn’t this just look like a quick and easy dessert to share? Perfect for all those upcoming BBQ’s (already dreaming of summer). Because you deserve it. Adulting is hard. 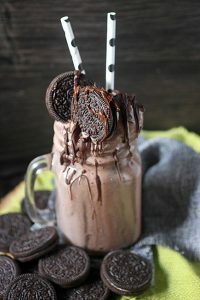 Boozy Milk Shakes make things better. Eats & Drinks | It’s Spring – Iced Coffee Me, please!